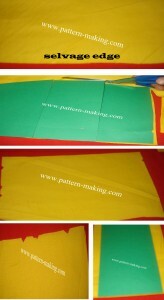 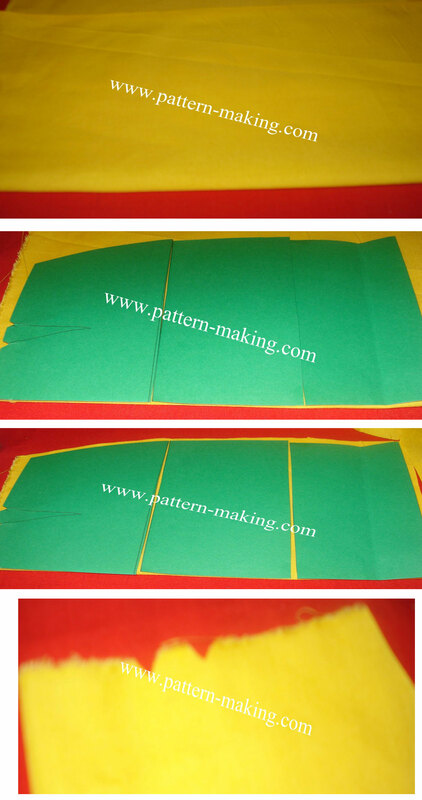 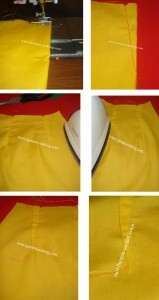 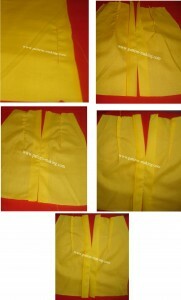 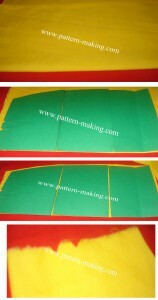 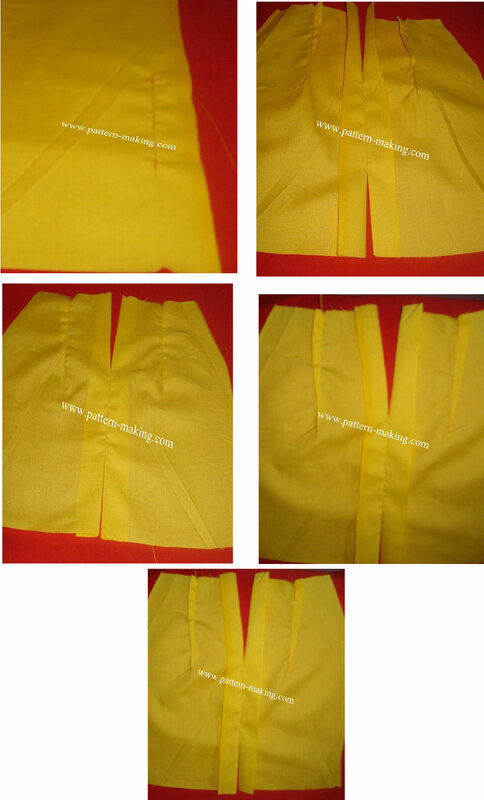 Sewing Your Straight Skirt Begin by printing and joining your pattern as shown. 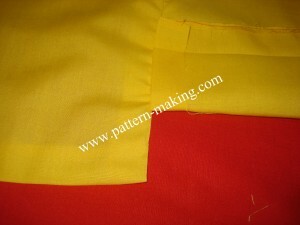 (Do not lap pattern) Next you lay your fabric out so the stretch goes width ways. Stretch the fabric to see which way has the most stretch. 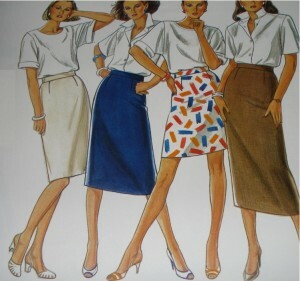 This is the way your skirt will go around your hip. 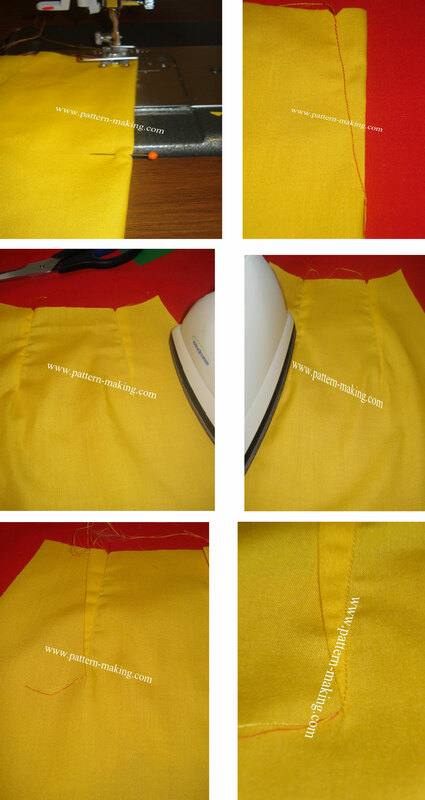 Cutting the front Fold the material to the width of your hip plus ½ Seam allowance. 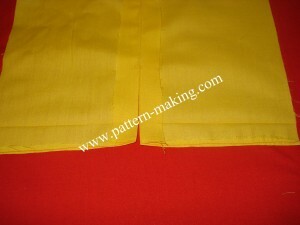 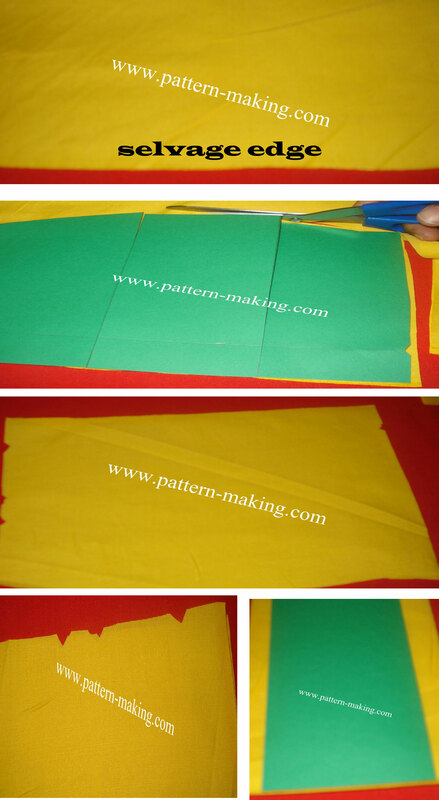 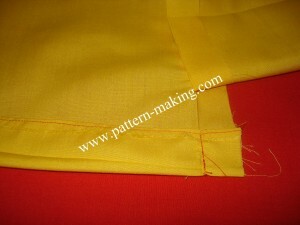 Place your pattern on your fold fabric (as shown) and cut. 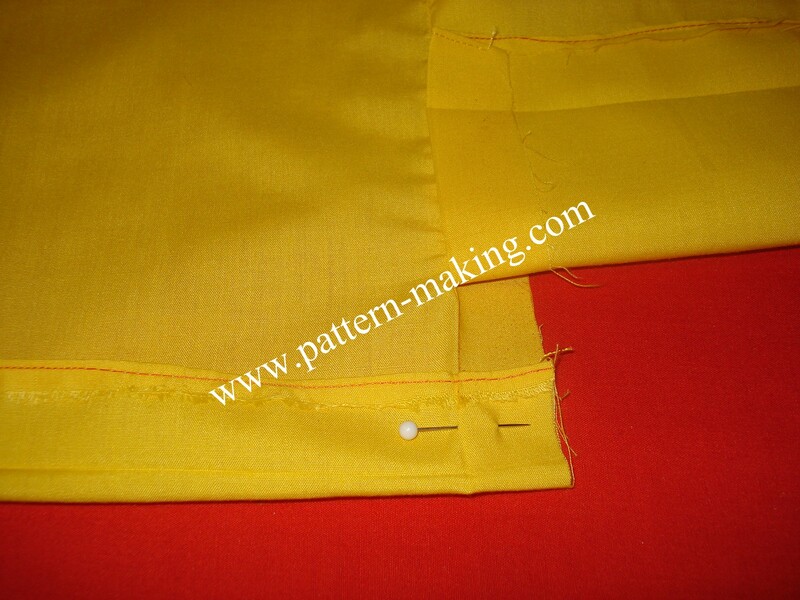 Note: before cutting be sure to check your waist, hip and skirt length with your pattern.Cutting the back Lay your fabric out; the back is not cut on fold like the front, cut two pieces for the back as you will need a opening at he back for your zipper and back lap or split.Sewing your skirt Dart: Darts are 1 inch wide at the top; sew your dart 4 inches long for the front and 5 inches long for the back. 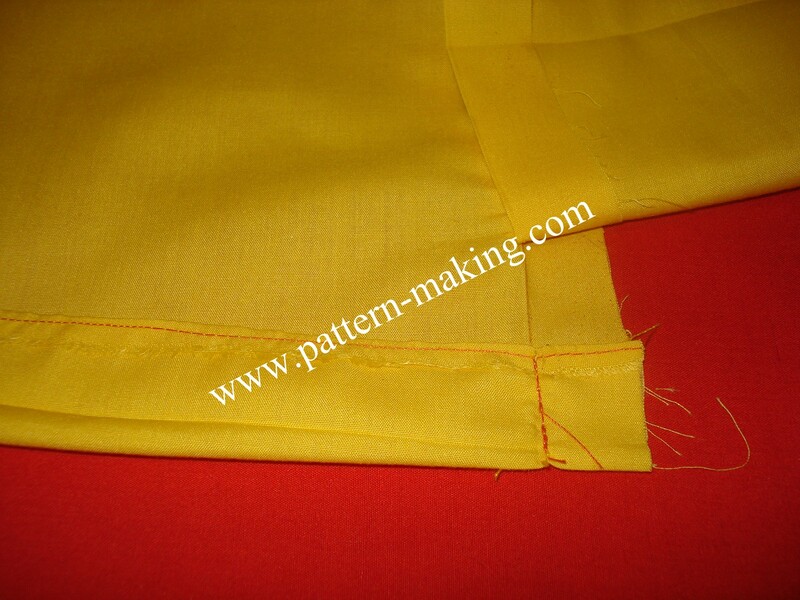 Start by fold the dart area so you have ½ inch on either side make a slant stitch starting with ½ inch and ending with nothing (see instructions) this stitch must be straight.Sewing the back Place the both side of your skirt back together and from the top measure 8-1/2 inches down, mark with a pin then from the bottom of the skirt measure up about 4’’ or as desired for back split and mark with a pin. Sew together the space in the middle leaving the opening for the zip and split.